The packaging and the brush: I think the packaging is 'meh', compared to the others. The wand is huge bristles great at getting your lashes. Overall, I wouldn't buy this again. The effect it gives doesn't make me go WOW, it's just an ok mascara. 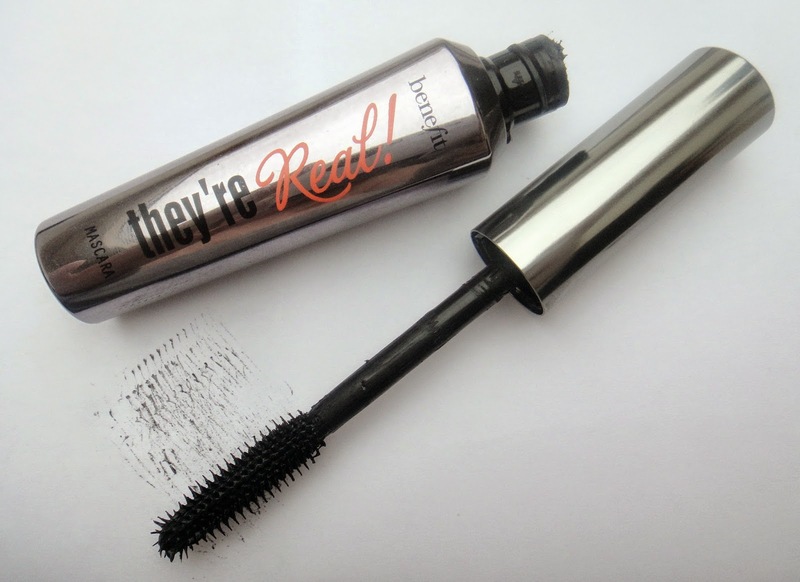 They're Real mascara: I hated this when I first got it! My mum got it for me at christmas so i'm glad I didn't pay for it. I found it so hard to work with at first to get the look that I desired. I found that it needed many coats and fiddling about with that I just became bored and would give up with the mascara. However, I have been giving this another try recently and have learn't to like it more. I can see why it got it's rating. It really lengthens and separates the eyelashes! The packaging and the brush: The packaging of this is nice enough it's simple metallic grey with name printed on it.. nothing amazing. The brush is small plastic bristles great for grabbing onto all the lashes. Also I find the end and using the brush vertically it is really good for getting all bottom lashes. Overall, I wouldn't buy this again because there is definitely cheaper options out there that are just as good.. But it does do a good job! Roller Lash mascara: This is the newest mascara by benefit and I grabbed the sample from the Elle magazine like many others. I was so happy when I got this & super impressed with the result. 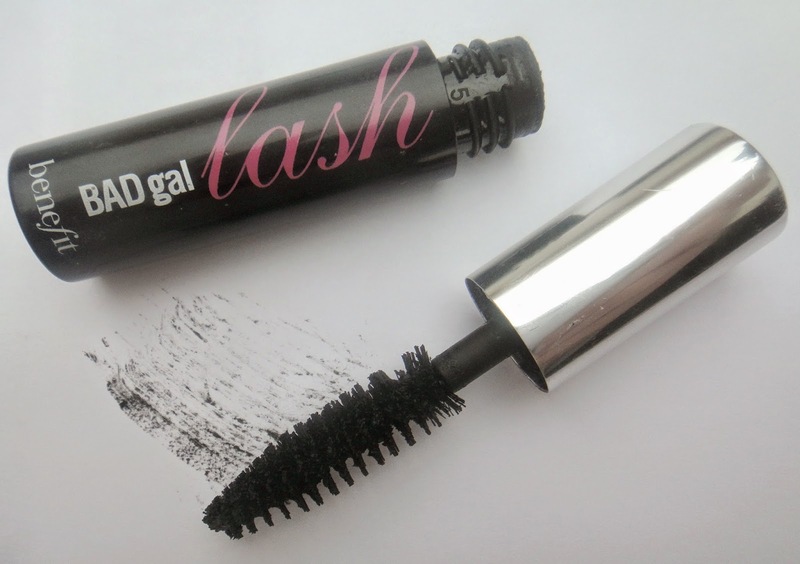 It really curls, separates, lengthens and add volume to my eyes which is great. Even on my mum's eyelashes which she has short stumps, you can tell an amazing difference it really curls her lashes and makes them pop. This mascara is so good! The packaging and the brush: The brush is slightly curled with small bristles and great at picking up all the lashes. The packaging of the sample is really pretty.. the gorgeous metallic pink is stunning (it's like my favourite colour). & the full size packaging is also still really pretty! Overall, I would buy this mascara! I think me and my mum will be both buying this in the very near future, although I normally wouldn't waste my money on a high end mascara. What do you guys think?, can you see the differences? Would you buy any of these / do you own any of these? I absolutely love They're Real it's my all time favourite mascara but I must say the Roller Lashes look thicker!! 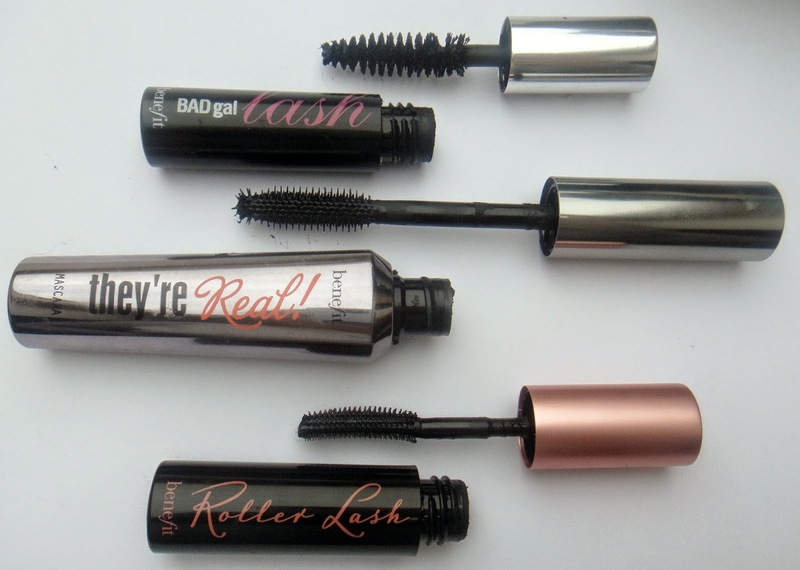 Great post, its so interesting to see all three of the mascaras compared, and to see them on your lashes! Ps. your lashes are amazing! 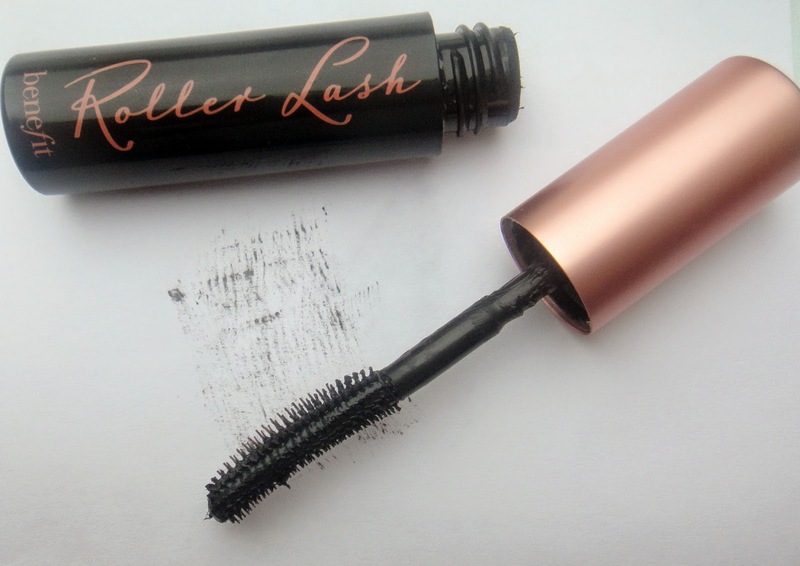 I absolutely love the Roller Lash! I'm slightly ashamed of how many mascaras I won, but I would still go out and purchase more, if only we had benefit available easily in SA....maybe I should ask my father-in-law sweetly to try and find me some in the Netherlands, I wouldn't mind trying all 3! I've never tried any of the Benefit mascara but after reading this, I think I'll definitely need to try the Roller Lash one. You have the most beautiful eyelashes, I'm so jealous!! I've been thinking about trying Roller Lash for a while because I'm also not too keen on They're Real, and you've definitely convinced me, thank you!